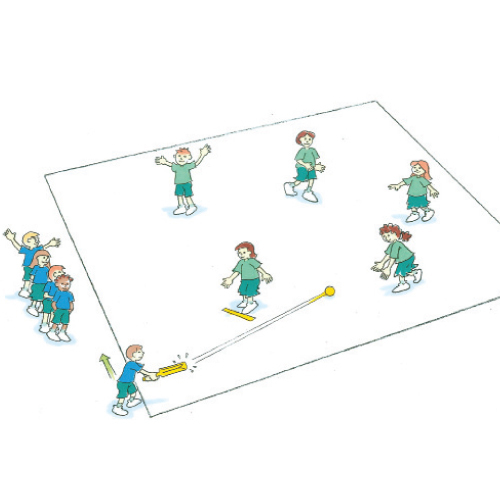 Tunnel ball throw is a modified game of softball that builds on striking and fielding skills and encourages teamwork and thoughtful placement of the ball. Form 2 teams of 5; 1 batting team and 1 fielding team. The batting team hits the ball off the batting tee. Fielders run to the ball, line up in a straight line and roll the ball between the fielders’ legs. The last fielder throws the ball back to the coach at the tee. Runners score by running around a cone 5 metres from the tee.